My second hike in Peneda-Gerês National Park started and finished in a small village of São Bento. The trail led me up to a lookout point high above the valley and offered some amazing views. It didn’t go as smoothly as the as the PR3 hike I did the previous day yet it was still an awesome experience. 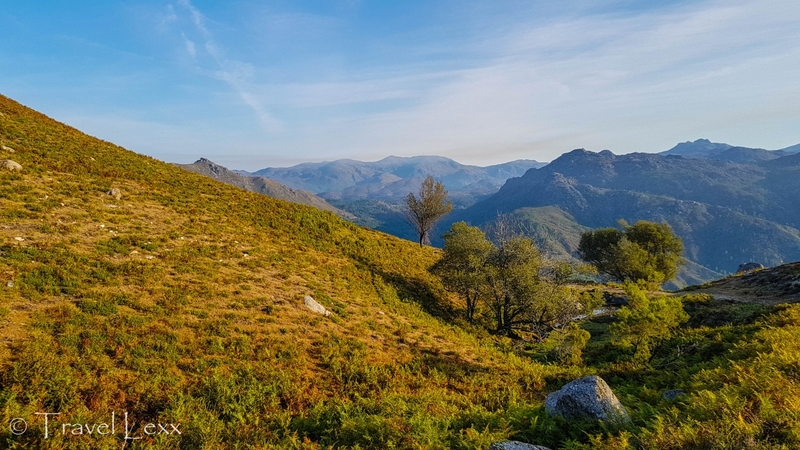 While I only spent around 24 hours in the area, hiking in Peneda-Gerês National Park was one of the highlights of my trip to Portugal. Despite Portugal’s many beautiful vistas, Peneda-Gerês, also known as Gerês, is the country’s only national park. It was designated in 1971 with the aim to preserve the landscape, flora and fauna of the area. Located in the northwest of the country, the park hugs the border with Spain (at one point I was only 12km from the border!). Its relatively out-of-the-way location makes it less touristy than many other parts of Portugal. The main town in the area is Caldas do Gerês (referred to simply as Gerês) where many visitors base themselves. It has quite a few accommodation options, cafes and restaurants, supermarkets and a helpful turismo (tourist office) with English speaking staff. You can get recommendations and hiking maps (€0.10 each) here before doing your hike. To tackle the Trilho de São Bento, I headed to a village of São Bento, about 15 minutes away by bus. It was still dark when I left the hostel for the bus stop. The start of my second hike was a little further away, in a village of São Bento, about 15 minutes from Gerês. As public transport is limited in the area (see Getting There below), I had to time things REALLY well. 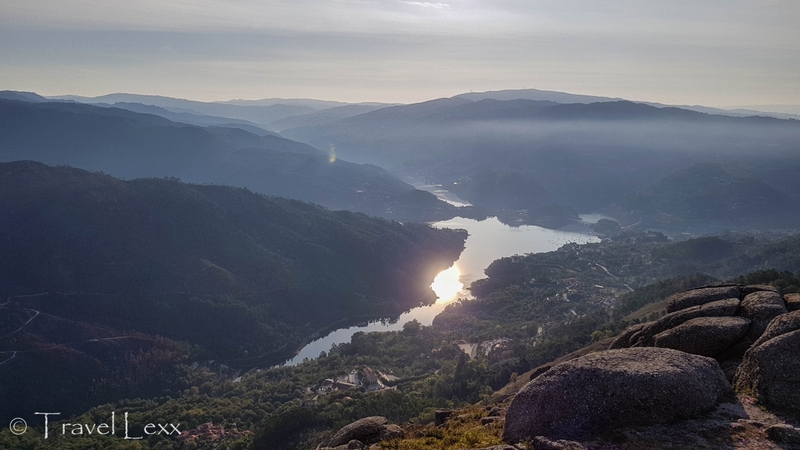 Plan was: take bus to São Bento, hike the PR7 trail, head back to Gerês, have lunch and get the last bus of the day to Braga before going back to Porto for my flight home. Yeah, this was going to be a looooong day! The bus dropped me off in São Bento and I walked past the São Bento da Porta Aberta church towards where I thought the start of the trail was. I had a map and a couple of descriptions from the Internet. Within a couple of minutes I was standing at the trailhead…right on the main road through Sao Bento! I started up the paved road and within about two minutes almost stepped on another snake! I managed to see it just in time as I was heading right for it. After avoiding it gracefully (ok, jumping in panic out of the way), I headed up the path. The track was pretty steep at first but evened out quickly. The sun was rising and it was already warm even though it wasn’t even 8 am. I was also happy to see the now familiar yellow and red markers. The path was clearly used by cattle and I could see fresh dung along the way. I came to a fork in the road and saw the familiar markers, even though I wasn’t quite sure whether I needed to keep heading uphill or take another path leading down. I decided to keep going up (which turned out to be the right way). Soon I passed a herder and exchanged a friendly “bom dia” – he was on his way down from dropping his cows off at a pasture at the top. 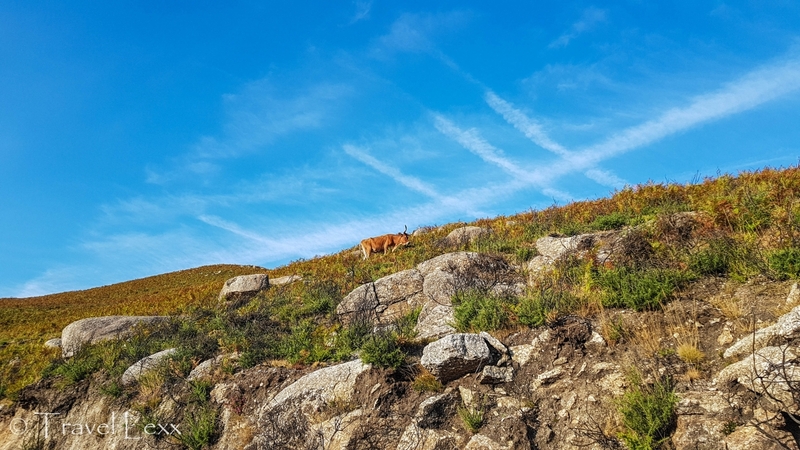 The path shared by cattle and hikers – can you spot the yellow and red way markers? The going was tough now – the early morning sun strong and the twisting path steep. I kept going and soon heard the sound of bells coming from above the ridge. The cows each turned to give me an indifferent stare before continuing the important task of chewing grass. 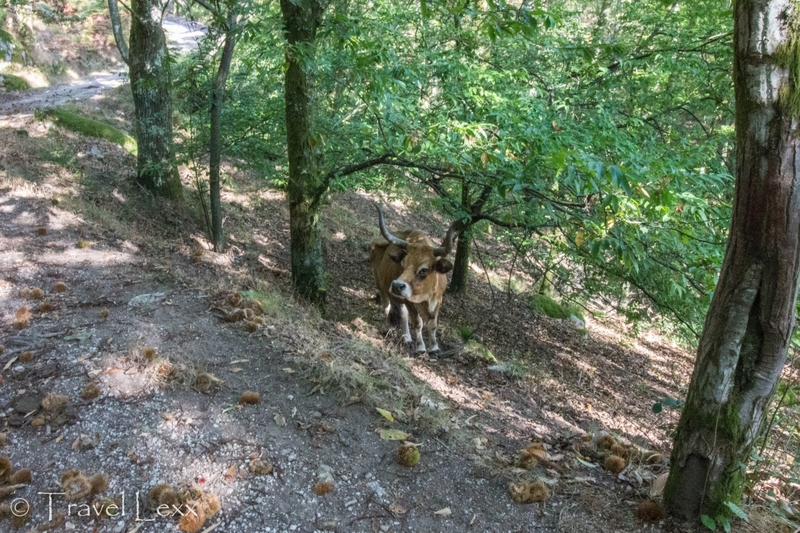 While “cattle breeds” are not my specialist subject, they turned out to fall into the “longhorn cattle” category – I definitely didn’t want to get charged by one of these guys! After a final push, I found myself at what seemed like the highest point of the hike. A stone marker was erected on top of one of the boulders overlooking the valley below. I was glad to have a chance to take off my backpack and take on some water and food. After admiring the scenery I continued on. That’s where things went a bit wrong. I saw a trail marker which I was happy about because they were a lot less frequent than on PR3. It suggested I head straight on which I did…for ages…without seeing another marker. I assumed I took a wrong turn somewhere so double-backed a couple of times but, nope, I didn’t miss any markers! I was getting a bit annoyed as I just couldn’t tell where I went wrong. I had to then edge my way past some cows that decided to just stand in the middle of the path. After walking back and forth for a while I followed a path that had an arrow painted on a tree (but definitely didn’t look like the trail). I eventually found the trail again and followed it the wrong way for a while to try and see where I went wrong. There were some giant boulders and impressive views but eventually I gave up and headed back down. 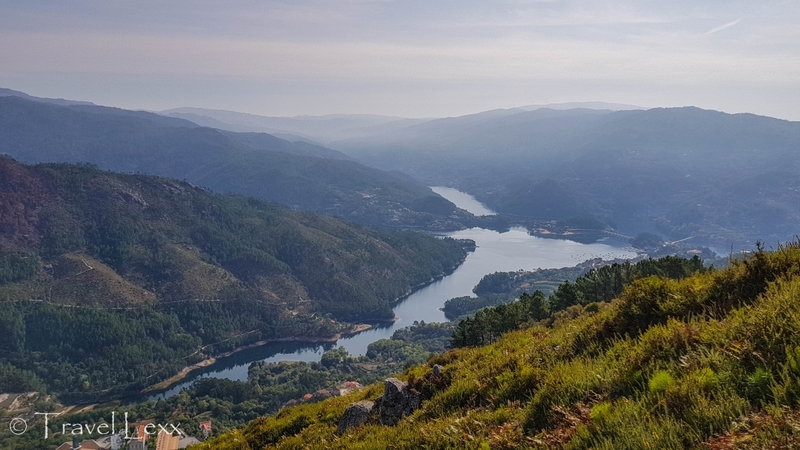 It was around 11 am and I had a decision to make – all my detours meant I wasn’t even half way through the hike and I had to time my bus back to Gerês carefully. I decided to abandon the hike back in São Bento as I was risking not making the later bus back if I had any more delays. Back in town, a weekend market was in full swing. 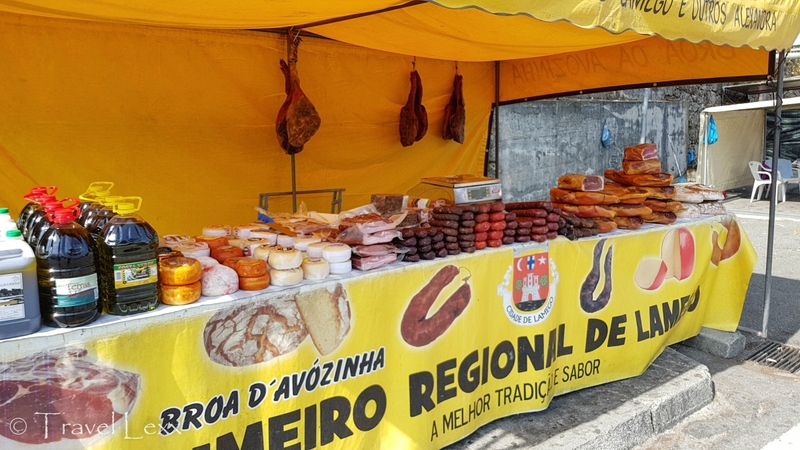 There were all sorts of delights on offer, including local produce of bread, meat and cheese. I wandered around the stalls, pretty tired from my busy morning. It wasn’t the way I wanted to finish the hike but I still managed to cover 13km (ironically, almost the same distance as the actual hike route) and saw pretty stunning views. To add to the bad luck I had this morning, the scheduled bus didn’t turn up and after waiting 1.5 hours, I gave up and got a taxi (I paid under €5 for a one way trip to Gerês without haggling). 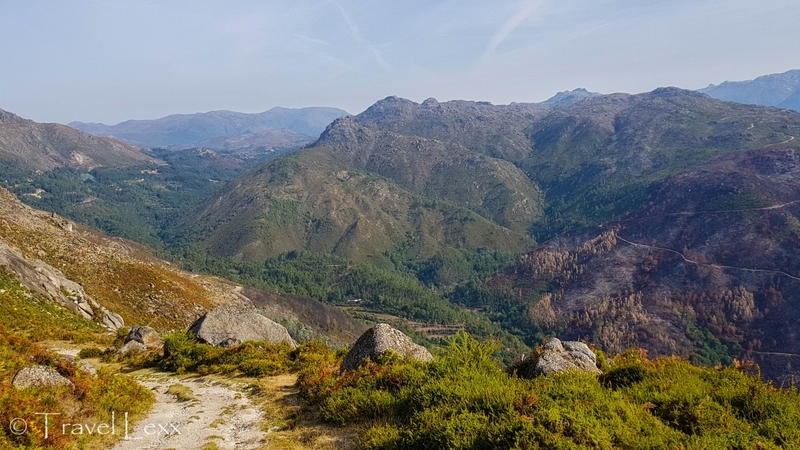 Yet I wasn’t too annoyed at the situation – hiking in Peneda-Gerês national park was worth every single wrong turn, website search mode of transport I had to take to get here. It might be Portugal’s only national park but, boy, it’s a good one! I arrived in Sao Bento at around 7:30 am and started the hike shortly after. There are numerous trails in Peneda-Gerês National Park. 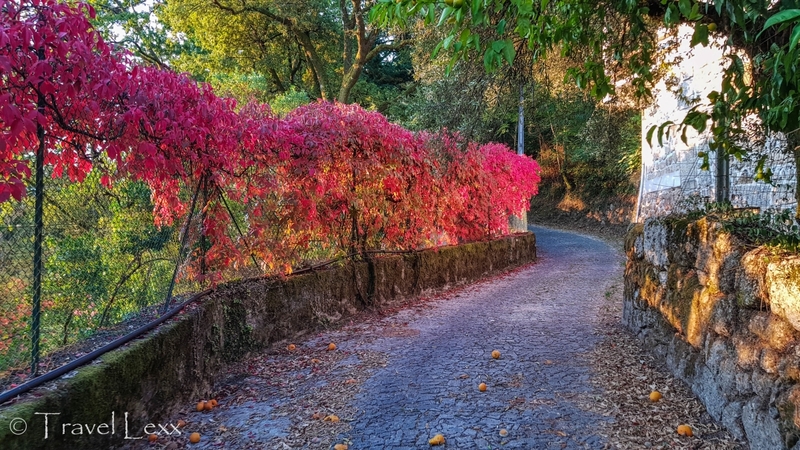 PR7/Trilho de São Bento (15km, 4-5 hours) is easily accessible from São Bento – the trailhead is on the main road through the town, just past the São Bento da Porta Aberta church. It is also accessible from Caldo do Gerês by car or public bus in around 15 minutes. The route is signposted but not as well as the PR3 – I lost the trail just after the highest point of the hike. 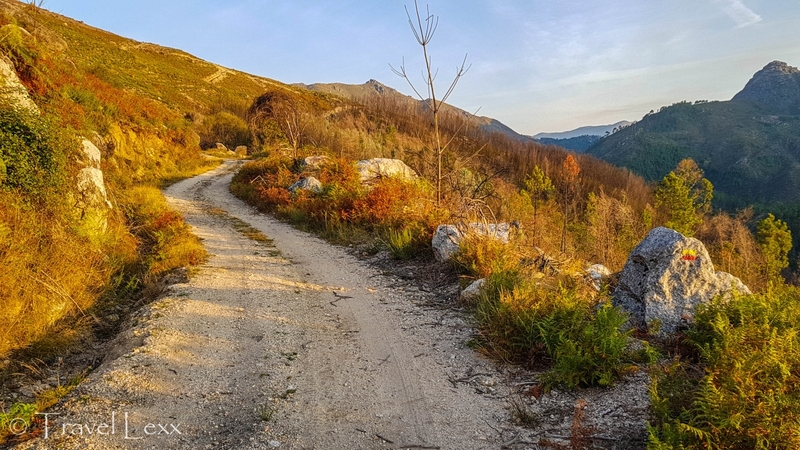 The trail climbs moderately for the first few kilometres, including some steeper sections before levelling out and heading downhill back towards Sao Bento. I completed the hike from São Bento to the lookout point and back down (12.82km including detours) in 3 hrs 39 minutes. 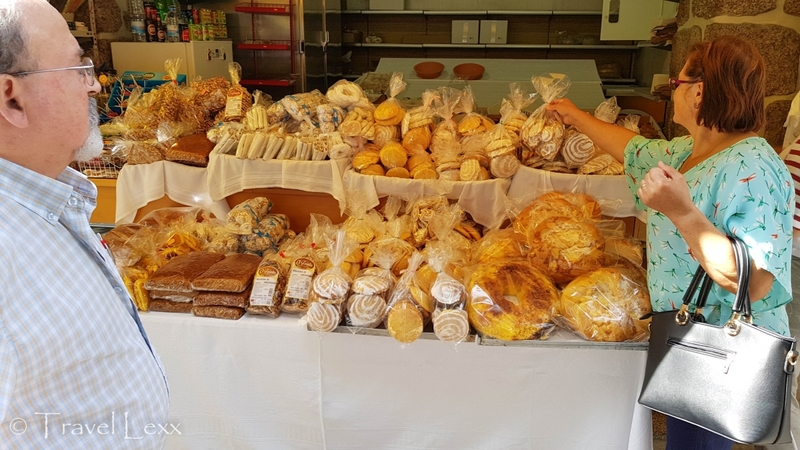 #1 Bring plenty of water and snacks – there are supermarkets and bakeries in Calda do Gerês where you can grab food but most of them don’t open until 8-9 am so do your shopping the night before. #2 Start Early. PR7 is very open with not a lot of cover so I recommend doing it early in the morning as the sun can be very strong. The temperatures in the park were a few degrees higher than Porto, only a couple hours away! #3 If coming from Calda do Gerês, the bus stop is not in the same place as where you get off when you arrive in town. The stop is on Av. 20 de Junho right on the corner with R. Arnaco. #4 Keep an eye on the yellow and red markers. PR7 is signposted but not as well as some of the other trails. The distances between markers are greater and once you pass the highest point, signs are tough to spot. If you get lost at this point – head down in the direction of São Bento which will be visible throughout the hike. Most routes will head towards the town. Make sure to pick up a map of the hike at the tourist office or find it here. #5 Look out for animals. 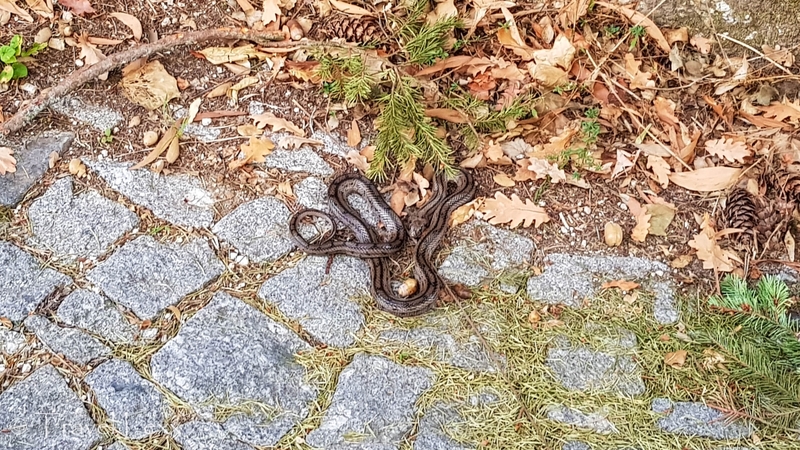 I spotted two snakes in my 24 hours in the park and that was in built up areas! The cows also have pretty big horns so be mindful of their presence. What: Peneda-Gerês National Park is a national park in Northern Portugal. It’s the only national park in the country. As well as hiking, visitors can mountain bike, swim in waterfalls and explore in 4×4 vehicles. Trilho de São Bento is a trail which starts just outside in the town of São Bento. Where: São Bento in Peneda-Gerês National Park is about 45km from Braga, close to the border with Spain. It’s accessible by car or public bus. 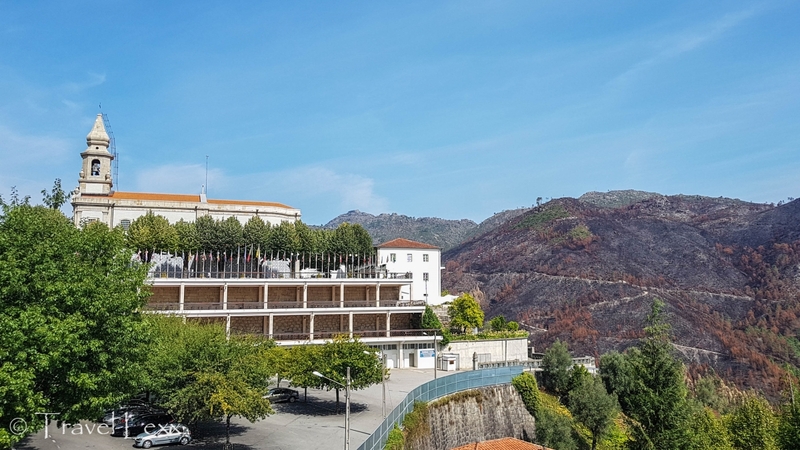 Buses to Gerês are operated by Empresa Hoteleira Do Geres and run from Braga’s bus station which is about 5-10 minutes walk from the city centre. The bus doesn’t have a number but has GERÊS written on the front and leaves from Bay 18. You can buy tickets from the driver (€4.35 one way). The journey to Sao Bento takes around 1 hr 10 minutes and São Bento is the penultimate stop. Look out for the big church as the bus turns around in a car park. Here is the timetable of the Braga-Gerês route. It’s in Portuguese but it’s pretty easy to figure out. 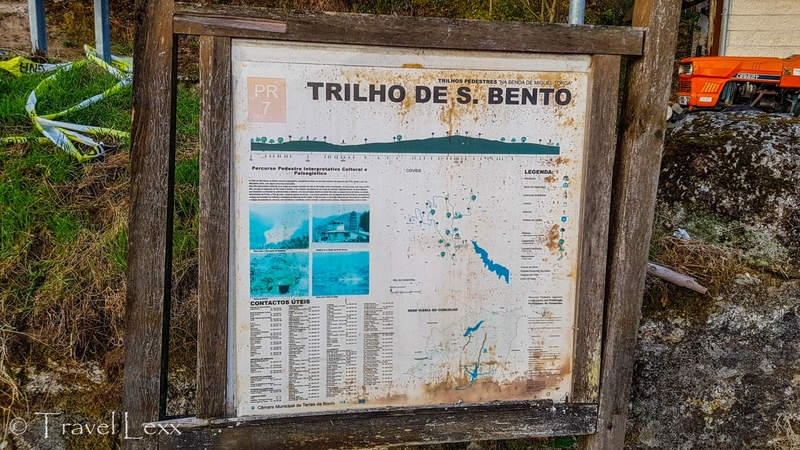 Getting There: The trailhead of Trilho de São Bento (15km loop, 4-5 hours) is near a village of São Bento. If coming from Calda do Gerês, you can get the public bus towards Braga (from Av. 20 de Junho in town) and get off at the next stop (São Bento) – the journey time is about 15 minutes. Make sure you time your return well as there aren’t many buses on weekends – otherwise just get a taxi. 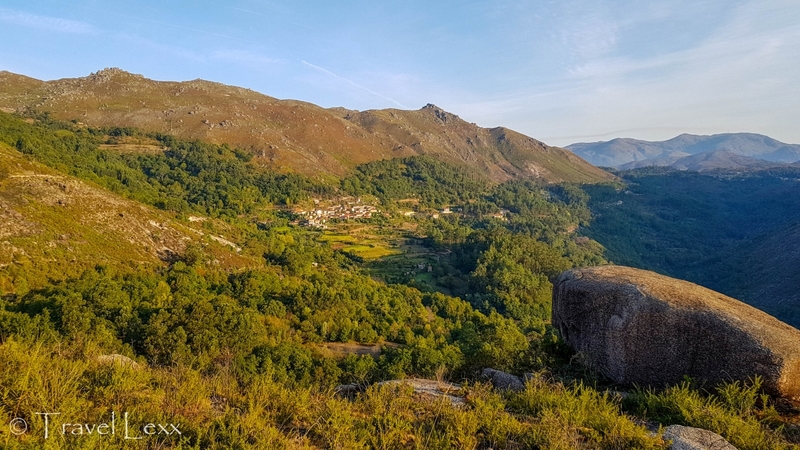 Accommodation: I stayed at the Hostel Gerês in Calda do Gerês – which has small but comfortable dorms, free breakfast and helps arrange activities. Oh and cute cats! Prices from €15. However there are plenty of other hotels and guesthouses in the town. There are also a few guesthouses in São Bento and in nearby Rio Caldo. 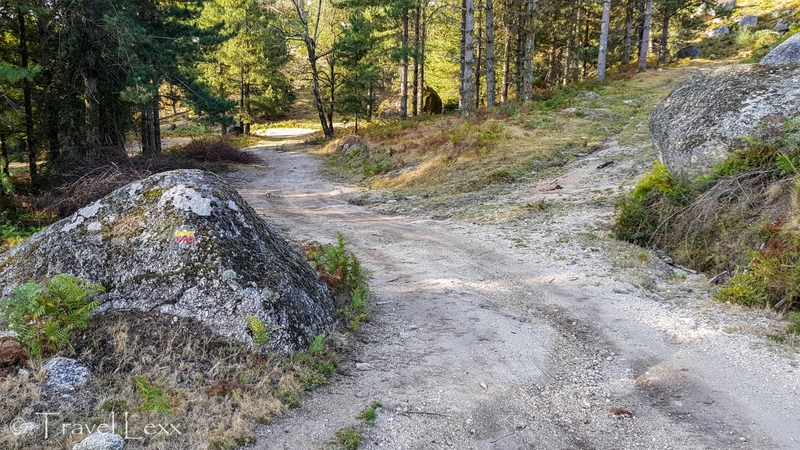 This entry was posted in Portugal and tagged adventure, Braga, Gerês, hiking, national park, Peneda-Gerês, Portugal, São Bento, travel. Sounds like many of my hikes… getting lost! But that is all part of the fun. The views are amazing and the cow are cute (not at all scary looking LOL). Thanks Angie! It was definitely a great hike and I would love to go back to the area and explore more of the national park! Sometimes the wrong turns make for the best memories. However, trying to figure out where you went wrong can be very frustrating. It sounds like you made the most of it with a positive attitude! I love a good hike, however, I don’t know how much I would like it if I was to multiple snakes. Sarah recently posted…Travel Quotes to live by. 13 km is still a very substantial hike! And the views are brilliant! Not a fan of the snakes though haha! Ive had a similar encounter with a brown snake in the Blue Mountains in Australia, where I almost stepped on one! Not fun haha! Another great hiking story form you Alexei! 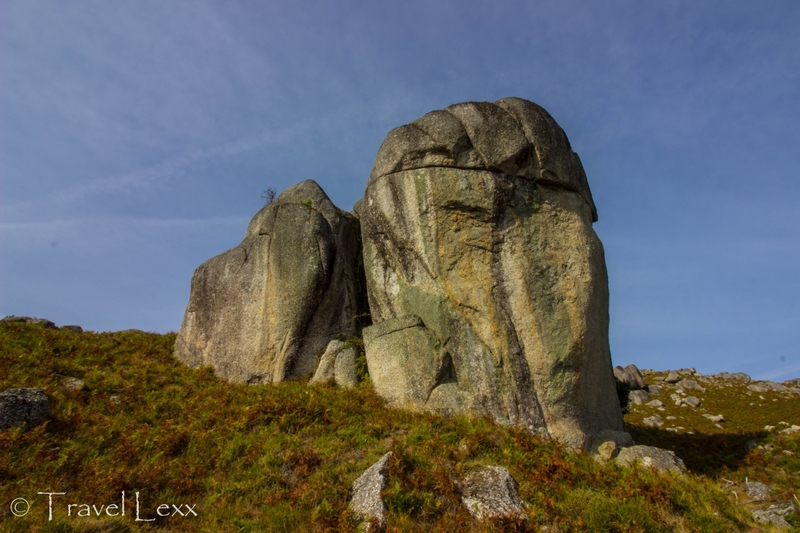 Thanks Kreete – was a great hike despite all the backtracking! Hiking or bushwalking is my favorite abroad activity wherever i go. Nice trail. I really enjoyed you post. The PR7 trail looks fun with those cows eyeballing you on it! It’s a shame it’s not better marked but you still got some amazing views. I’m glad you make it back to town for the last bus. Yeah it was still a great hike with fantastic views – definitely want to come back and explore the area more!